When Leonard Franks and his wife Ellie leave London for a dream retirement in Dartmoor, everything seems perfect. But one afternoon, Leonard goes to fetch firewood, and never returns. With the police investigation dead in the water, Ellie turns to David Raker. Raker tracks down missing people for a living, but nothing can prepare him for this. Because, behind Leonard's disappearance, lies a deadly secret, buried so deep it was never meant to be found. Overall, a very good plot which kept me guessing almost to the end. 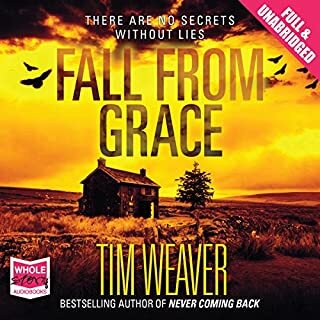 However, I found Tim Weaver's style of writing quite tedious - there's a lot of rather irrelevant detail - that I almost gave up part way through the book. Worth sticking with it, even though the (rather good) story could have been told in half the time! I'm a big fan of Stephen King - particularly his more recent stuff. 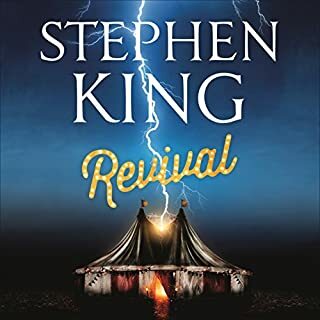 However, not sure that Revival would make it into my Top 10 Stephen King list. An interesting character set, with the usual depth that characterises Stephen King. But the plot was very slow and seemed to meander around too much for my liking. Having said that, it was worth sticking with to find out how all the plot themes all came together towards the end. So, overall enjoyable, but I'm not sure I'd return to listen again. William Stoner is born at the end of the 19th century into a dirt-poor Missouri farming family. Sent to the state university to study agronomy, he instead falls in love with English literature and embraces a scholar's life, far different from the hardscrabble existence he has known. And yet as the years pass, Stoner encounters a succession of disappointments. A life so ordinary so well told . What an excellent find! An uneventful story about an unambitious man - but a character with so much depth that you just have to keep listening to learn how his life unfolds. Wonderfully narrated by Robin Field - his monotone style wouldn't work for some books, but for this it was spot on! 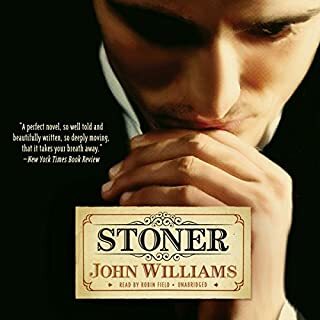 I rarely keep books on my i-phone for a second listen - but Stoner is on there and I anticipate returning to it many times. Recommended! Kimmie’s home is on the streets of Copenhagen. To live she must steal. She has learned to avoid the police and never to stay in one place for long. But now others are trying to find her. And they won’t rest until she has stopped moving - for good. Detective Carl of Department Q, the cold cases division, has received a file concerning the brutal murder of a brother and sister 20 years earlier. A group of boarding school students were the suspects at the time - until one of their numbers confessed and was convicted. Excellent trilogy - loved this! 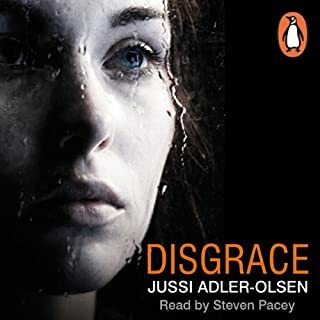 I stumbled upon the Jussi Adler-Olsen books via one of the audible sales - it was a bargain, so I thought it was worth a try. And what a good decision that was! Disgrace is the second book of the series - although they stand alone if you decide to read them out of order. The main characters from Department Q are well developed - portrayed with an element of humour which worked well. And the plot really keeps you on the edge of your seat. The 1980s was the revolutionary decade of the 20th century. From the Falklands war and the miners' strike to Bobby Sands and the Guildford Four, from Diana and the New Romantics to Live Aid and the 'big bang', from the Rubik's cube to the ZX Spectrum, McSmith's brilliant narrative account uncovers the truth behind the decade that changed Britain forever - politically, economically and culturally. 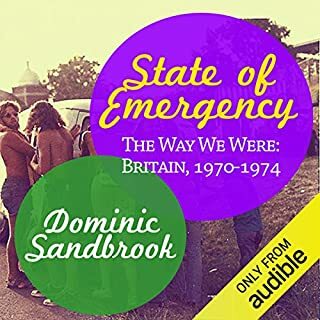 I'm a big fan of the Dominic Sandbrook books, which bring to life the social history of the 1970s. 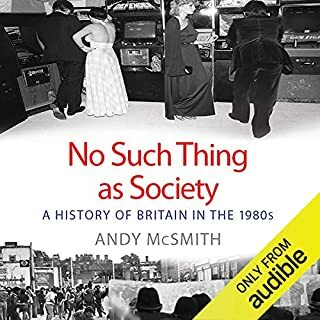 So I thought I'd progress on to the 1980s with Andy McSmith's book. Whilst "No Such Thing As Society" is an interesting listen, I think I've been spoiled by the detail of the Sandbrook books. "No Such Thing As Society" felt a bit trivial and lightweight in comparison. Of course, some would argue that was exactly the thing which characterised the 1980's! In the early 1970s, Britain seemed to be tottering on the brink of the abyss. Under Edward Heath, the optimism of the Sixties had become a distant memory. Now the headlines were dominated by strikes and blackouts, unemployment and inflation. As the world looked on in horrified fascination, Britain seemed to be tearing itself apart. And yet, amid the gloom, glittered a creativity and cultural dynamism that would influence our lives long after the nightmarish Seventies had been forgotten. It is a lengthy tome, but you can't help sticking with it to see how it turns out! Beautiful writing, but in need of a red pen! 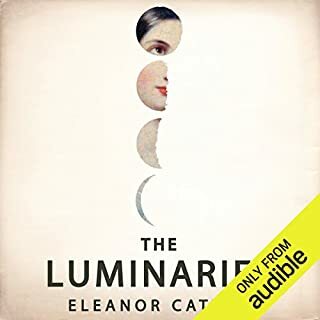 I loved the Victorian style and tone of the writing in The Luminaries, but it needed some attention from a good editor. The first half of the book meandered around, and the same story is told through the eyes of the many characters in the book. Quite a clever technique for the first few characters, but by the time you'd reached the twelfth telling of the same story it got a bit tiring. The second half of the book was much "tighter" and the story picked up sufficient pace to make me stick with it till the end. Overall, the plot is good (if you forgive the repetitiveness of the first half) and the performance by Mark Meadows (narrator) is excellent. I will look out for other audible downloads read by him. This book took some getting into. Early in the book the narrative jumps between different times, and the characters do take some time to develop. But once it gets going, the plot really builds and the characters come to the fore. The plot twists and turns, and there are some surprises along the way. 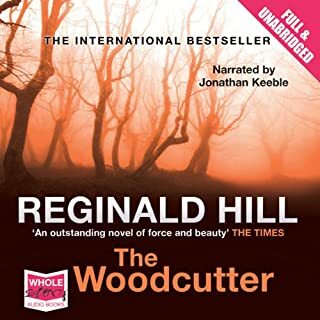 I have read too many Dalzeil and Pascoe books by Reginald Hill and I was concerned, before listening to the Woodcutter, that it would be more of the same. But the author uses a different style and distinct tone and the result is excellent. 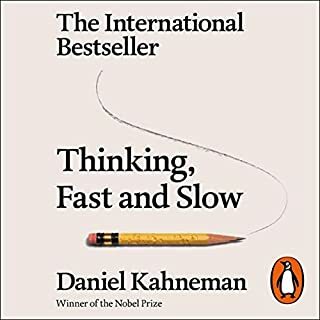 This is a fascinating book - outlining key research areas in the psychology of decision making. It also does a very good job explaining clearly the fundamentals of statistics in research - I wish it had been available when I was doing my psychology degree! BUT - it is a difficult book to digest in audiobook format. There are lots of references to the PDFs (difficult to refer to when driving!) and there are a lot of "lists" which you have to hold in your head whilst the theory is explained. It would be much easier to digest in traditional paper format. Hard work, but worth persevering with. This comprehensive history of Andrew Carnegie is worth persevering with. But it takes a lot of stamina! 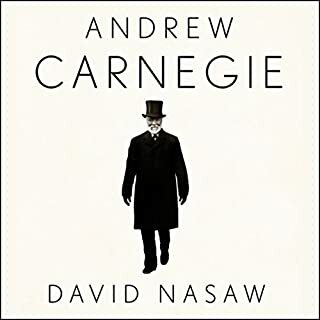 It describes Carnegie's work and life in great detail - and at times you can't help feeling you have heard something identical in a previous chapter. But the delightful Grover Gardner narrates well and helps keep your interest. I was left with the feeling that Carnegie was perhaps not the hero he is now held up to be. Yes, he may be the godfather of philanthropy.....but his employee relations skills had some room for improvement!